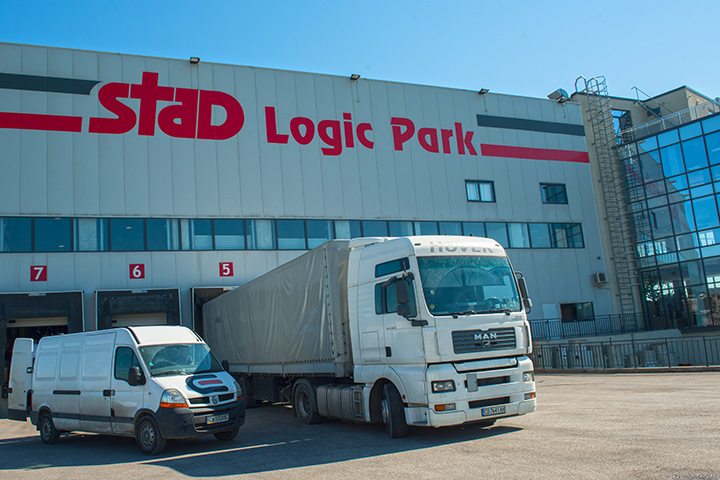 In 1999, STAD differentiated its own independent unit dealing exclusively with regular transportation of full and partial shipments to destinations from Bulgaria to Germany, Italy, Benelux, Poland, Austria and everywhere in Europe and back, as well as domestic transportation. The created a year later specialized department for international and domestic freight forwarding closes the circle of our transportation services, making it practically full. STAD has created excellent infrastructure, with offices and warehouses in Sofia and Dupnitza and with numerous business partners in Bulgaria and in Europe. The company cooperates directly with many European transport-forwarding companies, which allows us to cover the various transportation needs of our customers at any time and to react in the shortest time when there are specific needs for loading, unloading, delivery or other issues related to the transportation of goods from one point in Europe to another. The company has 70 own 40-ton vehicle (flatbed trailers and trucks), all of which are adjusted to transport dangerous goods according to the requirements of the ADR Convention. Our trucks are equipped with all necessary permits and licenses for international transportation of goods (TIR). The security of your cargo during transportation with our trucks will be further guaranteed by our CMR insurance of goods available for each of our cars. The coverage for a truck is EUR 300,000. STAD is a loyal business partner, a professional in the field of transportation, which can offer you healthy and successful cooperation in the long term. Cooperation, which will be our pleasure!